Lynne recognized our mystery seeds from last week as desert marigolds, Baileya multiradiata. 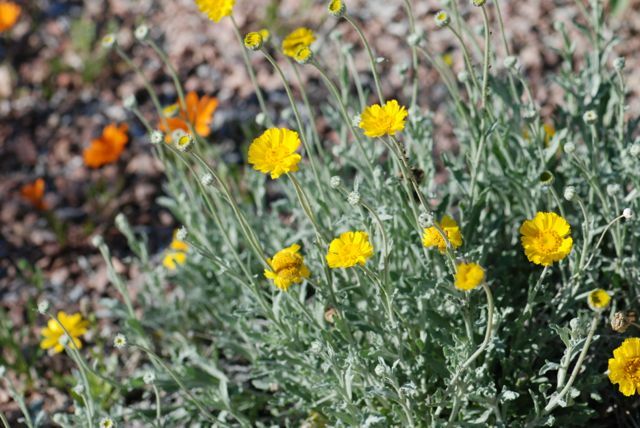 As you can see, despite their common name desert marigolds do not look much like marigolds and in fact are not closely related to true marigolds. They are short-lived perennial wildflowers with gray-green foliage. They form clumps or mounds and reseed readily in the western U.S. and Mexico where they are native. 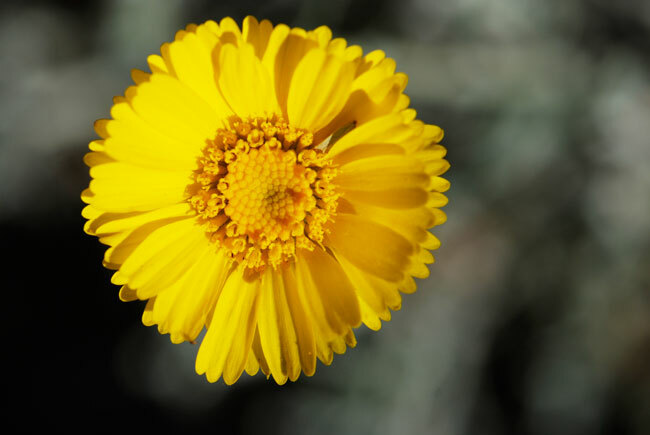 They can go somewhat dormant without water, but with water desert marigolds will bloom for long periods. 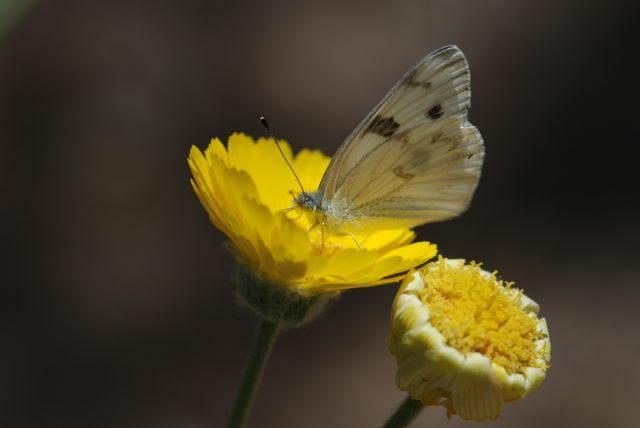 Desert marigolds are a good source of nectar for pollinators like this flower fly. They would be good additions to any butterfly or moth garden. 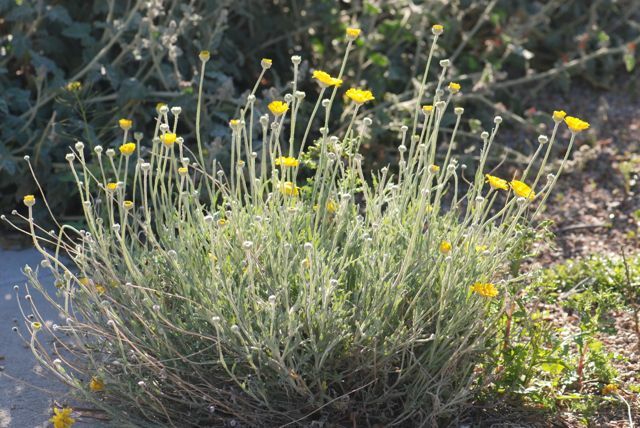 Do desert marigolds grow where you live? I am a bee keeper and would like to have a source of necture and pollen for my bess. I am in Snowflake Az. Is there an area some where near me where I can expect to find this plant? 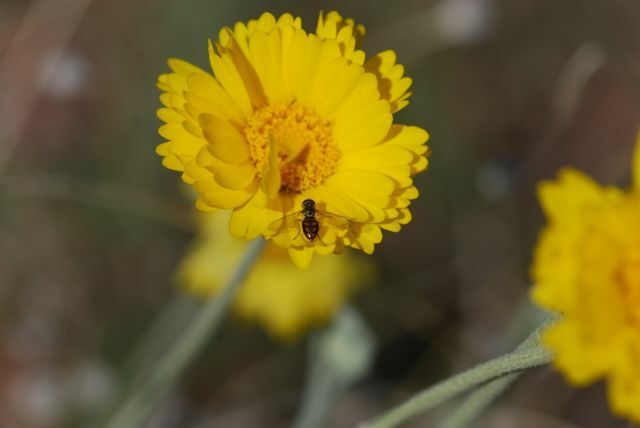 Desert marigold is found throughout the state, but I'm not sure of any exact locations. I leave your message up in case someone knows. If you are sure you want desert marigold, American Meadows does sell seeds. At least in our area, once you start it, the plants re-seed themselves. Also, in my yard the bees will fly right by the desert marigolds to get to the desert mallows, lavender, and especially the rosemary. Bees are constantly working the rosemary here.